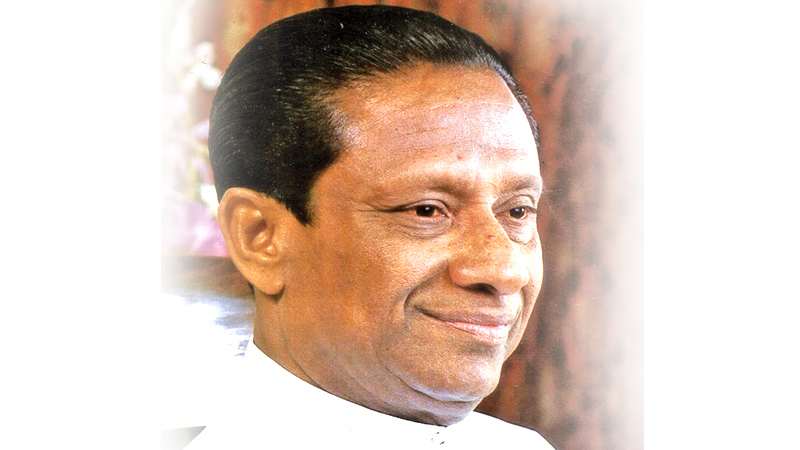 Seeing and hearing of Sajith Premadasa, raring to go for the next Presidential Elections, my thoughts go back to what his father late President R. Premadasa did, as Prime Minister, to gain popularity among the rural folk. Mobile offices were one such to take government offices and officers to villages, meet people and solve their problems on the spot. For this purpose, a new division under the Prime Minister was created called the Mobile office Secretariat and a senior officer had to be appointed from each ministry or a department who could take decisions and I was appointed for this task from the Ministry for Power and Energy. An electorate is selected by Prime Minister to set up a Mobile Office in a school in that electorate and officers had to proceed to organise the functioning of the offices the previous day. We were found lodgings in a villager’s home for the night. The same evening, we had to arrange school desks, tables and chairs to function as an office. When I had finished the arrangements, two officers of Secretariat walked in, seeing that there was no photograph of the Prime Minister, they brought a framed picture and hung in just behind where I was to sit. That done, we went to the house where we were to put up the night. They received us very cordially. After a wash and changing to our customary Sarang and banian, we had a friendly chat with the host, mostly about the village and the people, their employment etc. The dinner served was not what we expected from a village home. It was, I may say, fit for a wedding ceremony. This we said to our host and what we expected, was what people eat normally in the village. Breakfast was string hoppers with pol sambol and kirihodi – really tasty. While having breakfast I told our host, what I saw of the man climbing down the Kitul tree with a pot of sweet Toddy. Our host smilingly said that they make Kitul treacle, jaggary and if we wish we could have fresh Kitul toddy in the evening. My friend who was a senior officer from another Ministry, jumped at the idea and said we would really enjoy. Saying that, we proceeded to perform our official duties. There was a surprise for me to see the Area Engineer, knowing Prime Minister wants recognition, had garlanded the photograph with Yellow Daspethiya flowers. Sure enough, when Premadasa, Prime Minister stepped into my office, I saw his smiling facial expression seeing his picture. There were villagers who came to my office, mostly seeking employment in the Ceylon Electricity Board (CEB) as that organisation came under my ministry. I had to find a way out not to displease and disappoint them, so I opened a register to register their names and pleased them by saying that I will be sending these names to CEB and they will be called as when vacancies occur. They left rather satisfied. Whether they received any such letters from CEB is another matter, but as far as I was concerned, I had not disappointed them. Then there were organisations, Buddhist priests wanting electricity to be supplied to places far away from the existing transmission lines. I inquired as to how many houses were there and the distance from the transmission lines, just to show I was keen to help them. The area electrical engineer who was with me spoke of the approximate cost which was prohibitive. Seeing that there was no way in helping them, as there was no financial provision in the budget of the Ministry as well as CEB, I requested them, to contact the Member of Parliament to provide funds from his Decentralised Budget. I had created a problem to MPP and they stormed my office, in Colombo and expressed their displeasure for making them lose face in their electorates. Now the day’s work duly done to the best of our ability, we went to the home where the host was eagerly waiting. He greeted us with a broad smile and requested us to have a wash and make ourselves comfortable. He kept a pot of bubbling pot of toddy with devilled (Kos)jak seeds as bites and manioc. What a heavenly drink and a way to spend the evening and the week-end. We had dinner, this time with Kos (jak), fried dry fish, pol sambol and local vegetables. After a chat with our host, a simple man, we retired to bed. Usually a variety entertainment is held in the evenings. The next day we were to leave. It was sincerely sad for us to part, as we have had such a pleasant week-end. His wife and daughter came and worshipped us, and one request was to find employment for their daughter. I gave him my office address in Colombo and requested him to send me an application, with her educational qualifications and left, genuinely to help. Sure enough, I received her application, to see she had not passed O/Level. I had to reply, saying her educational qualifications were not enough to at least consider for appointment as a clerical hand and that ended our connections. The next was the Mobile Office conducted in Matugama Electorate. As soon as information as to where the next Mobile Office is to be held, I contact the Divisional Manager and the Area Electrical Engineer, to discuss what projects are in hand in this particular electorate and other matters which may be of interest. In this electorate there were four Rural Electrification Schemes under construction. We decided to have Prime Minister R. Premadasa to declare open at least one of these on the day of Mobile Office was to be held. The Divisional Manager, and the Area Electrical Engineer had a bright idea. Knowing the Prime Minister is one who wants surprises and things done immediately on the spot, they suggested that if any person wishes to have electricity connection the same day, it could be provided, if the house is close to the transmission lines, and no new electrical post to be planted. A very good idea, but how about paying the estimated amount? Here I contacted my friend Jehan Cassim, the then Chairman of Bank of Ceylon. He told me that there would be a mobile BOC and he could make arrangements to receive payments. This I conveyed to the Divisional Manager, who in turn had informed the Area Electrical Engineer. The day dawned. After the ‘Prathignawa’ oath which is normally before commencement, I went back to my ‘make shift’ office and sent a message to the Secretariat to announce over the address system that the Prime Minister will be declaring open a particular rural electrification project and those desirous of having electricity connection on the same day could call over, get the estimate and make payments at the Bank of Ceylon Mobile Office. When Prime Minister heard this, he was surprised and when he walked into my office, which he normally does visiting all offices, thanked me and said that it was such action people want and not hang around offices in Colombo to get a minor job done. A week or so later, an officer met me and wanted to know whether I wish to join the Prime Minister’s Mobile Office Secretariat, which I politely declines as my friend JehanCassim, the then Chairman of Bank of Ceylon told me how he is called up at odd times of the day and night, disrupting domestic life. Although I was not handling the subject directly, I had to assist the officer who was assigned this subject. When the first Gamudawa was to be held there was a request for a generator to be supplied for lighting the Gamudawa premises, as, usually these locations are far away from transmission lines. Even so, as CEB is a commercial establishment, CEB requested a payment, at least the cost of the supply. This did not please the Prime Minister and his staff. These generators are loaned on payment or used for other purposes of the CEB by the Worksop Engineer. One day when I visited a Gamudawa in a faraway village, I noticed generators being used. Coming back to office, I made discrete inquires and came to know the Prime Minister’s officers had contacted the Worksop Engineer and had unofficially obtained these generators. However, the matter was left at that, turning a blind eye. The most interesting end to this favour of the Workshop Engineer, was rewarding with the prestigious post by appointing him as the Chairman of CEB no sooner Prime Minister R. Premadasa was elected President at the Presidential Elections after J.R. Jayewardene’s term ended. These are sweet memories of my long government service, which I now enjoy recalling the past happy days, casting away those unpleasant ones. Apart from solving problems of the rural folk at their door steps, so to say, these Mobile Offices and Gamudawas, were a source of entertainment to the villagers and a paid holiday for public servants.